Project development with agile (see also the Uzility Software Introduction to Scrum and the Development That Pays Scrum vs kanban - what’s the difference? Git and GitHub: GUI client, command line shell, and Sven Hoffmansven’s Using Git command-line cheat sheet. Got a merge conflict? See Painless merge conflict resolution in Git. We also a have small GitHub Pages tutorial. TEI By Example offers a series of freely available online tutorials walking individuals through the different stages in marking up a document in TEI. The old HTML <frame> element is obsolete, and a paneled interface should now be created entirely in CSS. Learn how in A complete guide to flexbox (for complex paneled layouts) and in our Website layouts (for simpler layouts). You can edit and develop CSS interactively in the browser. See Inspect and edit pages and styles for a brief tutorial. The tutorial is written for Chrome, but all of the major browsers have comparable development tools. Color-hex gives information about colors including color models (RGB,HSL,HSV and CMYK), Triadic colors, monochromatic colors and analogous colors calculated in color page. Color Brewer provides attractive, curated color palettes, primarily for maps. See Rick Wicklin’s brief description to learn more about how to use it. How to scale SVG (Amelia Bellamy-Royds’s tutorial about how scaling SVG doesn’t work like scaling othe types of images). Stephen Few’s Perceptual edge is primarily about business analytics, but the library and examples sections are applicable to humanities data. Sonic Visualiser is a free, open source application for viewing and analysing the contents of music audio files. For tutorial guidance see especially Nicholas Cook and Daniel Leech-Wilkinson’s A musicologist’s guide to Sonic Visualiser. The Mazurka plugins for OSX are available at http://kaspars.co/2015/01/06/mazurka-plugins-os-x-yosemite-binary/. 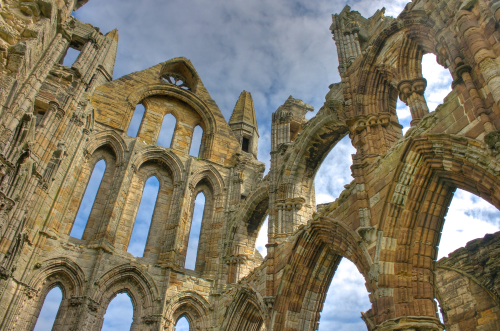 Photograph of Whitby Abbey by Mike Peel (http://www.mikepeel.net).